There’s an account on the EOS blockchain with $35 million worth of tokens in it that no one can touch – and its balance is growing constantly. At the end of EOS’ first 12 months as a live blockchain, this account (called eosio.saving) will be worth close to $192 million, assuming the recent EOS market price of $4.79. In theory, that money is being set aside to fund all sorts of initiatives that might be beneficial to the EOS community: building out new tech features, conducting security audits, sponsoring meetups, hiring lawyers and lobbyists. But there’s one problem: there’s currently no system in place to actually allocate the funds. That governance process included the ability for token holders to vote in referenda based on the number of tokens they held. But that process of voting doesn’t exist yet, and as such, EOS’ governance system has been in flux since launch. The referendum system, as the voting mechanism is known, seems to be at the heart of the question about where the eosio.saving money will eventually go. While the white paper doesn’t mention referendum voting, the EOS constitution explicitly requires the process for making decisions that affect the entire network, like setting up a system to spend the eosio.savings account funds. Also, in a twist of circular logic, a referendum is needed to ratify the still-provisional constitution itself. And moving on that advice, Keyes is acting as project manager for a team composed of different block producer candidates, who are working together to build the referendum system. At the same time, a group known as the EOS Core WPS Working Group is developing the “worker proposal system” or WPS, a mechanism described in the EOS white paper that would be used to submit proposals and allow token holders to vote on whether to fund them using tokens from the eosio.saving account. And already, the working group has published the back-end code for the WPS. Although, as mentioned, the WPS code must be approved in a one-token, one-vote referendum, so the working group is waiting for the referendum system to be put in place. That said, the WPS carries added significance now as the EOS community is split on what to do with the funds. While some, including members of the working group, would like to see the money used for the benefit of the community, prominent voices are urging the community to scuttle the WPS, remove its source of funding, and perhaps “burn” or destroy all the tokens currently held in the eosio.saving account. Stepping back, the money currently accruing in the savings account is funded by “inflation,” which in this context refers to a predictable increase in the total supply of EOS tokens. Every year, the supply rises by 5 percent, and four-fifths of that increase automatically goes into the account. This process is made possible by a funding mechanism that was coded into the EOS protocol at launch. 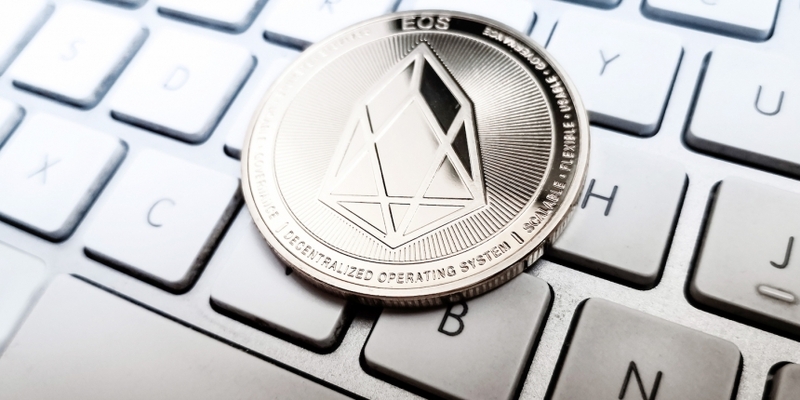 With that, the working group suggested in a recent blog post that one million EOS tokens (around $4.8 million) be transferred out of the eosio.saving account and used to fund high-priority projects like the EOS arbitration body – which rules on disputes among token holders – security tests, and an online portal for the WPS. They also want to set up an “emergency committee” to assess project proposals, though they promise to dissolve the committee once the “emergency” situation has passed. Proposals approved by the committee will then be put up for votes by token holders (these will be similar to referenda, but have a lower minimum threshold for token holder participation). “We should not rely on Block.one, the block producers or continued volunteerism,” she continued. Block.one is the company headed by Dan Larimer that developed the code behind the EOS protocol and conducted the $4 billion ICO, but did not participate in the network launch. Some community members disagree with Kim, though, arguing that EOS should ditch the WPS and the token inflation that funds it. Most notably, Block.one CEO Brendan Blumer endorsed this view in late July. At the time, Blumer was responding to a Twitter user’s observation that “even with the wonders of compounding,” the 1 percent inflation that top block producers – those that verify transactions on the network – divvy up among themselves, might seem insufficient. As such, the user expected “whale” block producers –those that hold a large number of tokens – to go after the larger 4 percent inflation by awarding WPS contracts to themselves. “We already saw how the voting system works,” another user commented on Reddit, referring to the perception that whales vote friendly block producers into the top spots in exchange for a cut of the earnings. Unlike the referendum system, the voting system for electing block producers is already in place. Because the system is based on the one-token-one-vote approach, many of those both inside and outside the EOS community see accounts with large numbers of tokens as determining the outcomes of votes. Yet Kim said that EOS Core WPS Working Group members “recognize the fears that some in the community have” and have put in place numerous checks and balances to safeguard the system. For example, the working group proposes burning half the tokens in the eosio.saving account on an ongoing basis. It’s likely that the situation will come to a head soon, though, since Keyes told CoinDesk that testing on a minimum viable product for making referendum proposals and conducting votes could begin as soon as next week. The full rollout of the implementation will follow sometime after that. Much like the debate around the WPS, there remains a continued debate around the EOS constitution, which is currently in “interim” status because it has not been ratified through a referendum (again, there is no referendum mechanism available on EOS right now).